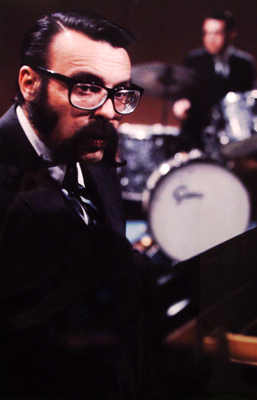 Although Vince Guaraldi's playful jazz piano themes for the early Peanuts animated television specials are well known, the composer himself remains largely unheralded. Despite his music's ubiquity, he is, perhaps, one of the world's most-heard jazz artists whose name few people know, and fewer can spell or pronounce correctly. Much, much more than merely "the Peanuts guy," Guaraldi cut his jazz teeth as a member of combos fronted by Cal Tjader and Woody Herman, and garnered Top 40 fame with his Grammy Award–winning hit, "Cast Your Fate to the Wind." 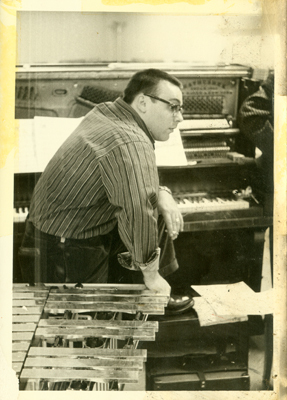 He spent most of the 1950s and early '60s as a sideman, then began fronting his own trios and combos in order to refine the gentle, bossa nova sound that soon characterized his early compositions. His collaboration with Brazilian guitarist Bola Sete made them a can't-miss act for two years in the greater San Francisco Bay Area. Guaraldi also deserves credit for writing and performing what became the first-ever Jazz Mass presented during a U.S. worship service, when he debuted his Grace Cathedral Jazz Mass on May 21, 1965. That same year, yes, he also became known as the guy who put the jazz swing in Charlie Brown’s step. As jazz clubs were closing in the 1960s, with the advent of rock 'n' roll -- a development that put many jazz musicians out of work -- Guaraldi embraced the enemy, adjusting his style and approach to include electric keyboards. By the mid-'70s, he had become a respected veteran in what remained of the declining Northern California jazz club scene. And then -- tragically -- he left us much too soon, in 1976, at the youthful age of 47. His jazz legacy is poorly acknowledged and woefully under-valued, despite the obligatory feature pieces that emerge in newspapers and on radio each December, with the annual return of A Charlie Brown Christmas. Guaraldi deserves better. If you've long wanted to know more about one of jazz music’s overlooked treasures, you've found the right spot. I'm a lifelong Guaraldi fan; At the age of 7, I was a bit too young to register "Cast Your Fate to the Wind" and its increased radio play in 1962 and '63, but I vividly remember being parked in front of the family TV set on December 9, 1965, for the debut of A Charlie Brown Christmas. My enjoyment of Guaraldi's music -- my respect for his talent -- has been constant, from that day to this. I did all the usual fan things, as time and technology allowed: the purchase of his albums; the subsequent discovery and search for albums that included him in a supporting role; the early short articles, in various publications; the lengthy essay and discography that formed the core of this, which became one of the first -- perhaps the first -- Guaraldi fan website. You'll find a link to that early article below, along with all sorts of additional information that should prove useful to both avid and casual Guaraldi fans. 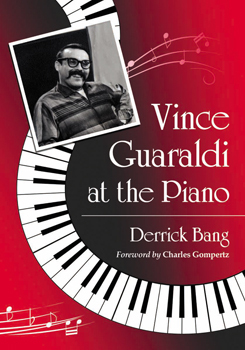 The result, published in the spring of 2012 by McFarland & Company, is Vince Guaraldi at the Piano, my 390-page attempt to help correct the almost-half-century oversight that has kept Guaraldi and his career in partial obscurity. If you enjoy the information presented at this Web site, I encourage you to seek out the book. Enough preamble: Dig in, jazz cats! This page -- and all Guaraldi pages -- are part of FiveCentsPlease.org, a resource for information, trivia and history about the world of Charles M. Schulz's Peanuts. Visit the FiveCentsPlease.org home page to explore all the site has to offer.